The US natural gas storage inventory deficit that developed last winter has not abated: strong demand from the electric power sector-driven by coal plant retirements and supportive weather-coupled with stronger LNG exports has eaten into the largest production growth in history. The market now faces the prospect of an end-of-season storage balance 400 Bcf below the five-year average and the lowest end-October level since 2008. IHS Markit expects the end-October inventory to reach 3,400 Bcf. Even if injections from now until the end of October were at the highest levels of the past five years, US end-October inventories would barely break into the five-year range. There is little doubt that the market will begin this winter with well below-average inventory levels. Such a low inventory heading into the winter could spell disaster: if the winter is like the 2013/14 winter, when 3,000 Bcf was withdrawn from storage, then the market will exit March 2019 at 400 Bcf. Yet, Henry Hub prices remain subdued and have been rangebound between approximately $2.70/MMBtu and $3.00/MMBtu this summer. These prices are in stark contrast to the price run-ups that are normally associated with such deficits, suggesting an apparent lack of concern from market participants. 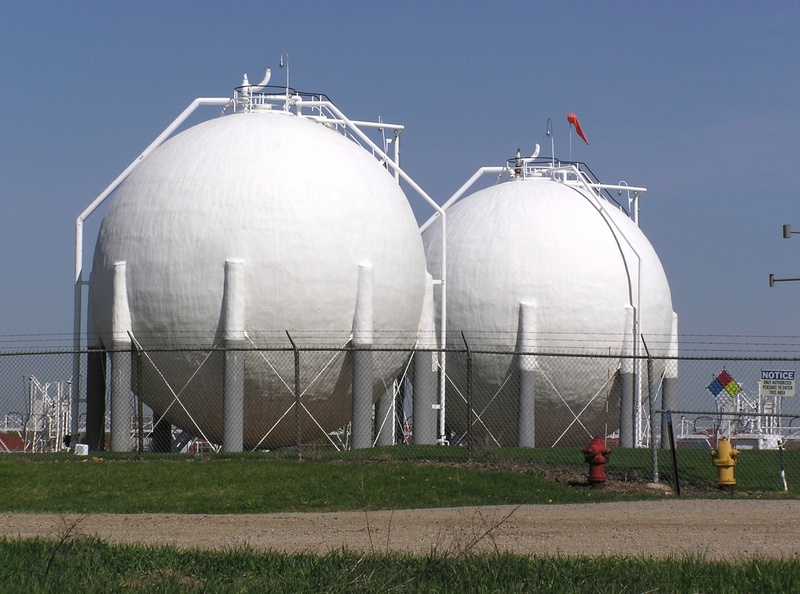 If Storage is Down, Why Aren’t Natural Gas Prices Climbing? Probably the most significant factor influencing the current storage-price relationship is the enormous increase in production since last summer. In June 2017, US gas production began the largest growth period in history, and, by the end of August 2018, production is expected to be up more than 10 Bcf/d compared with May 2017. More than half of this increase is in Appalachia, home to the prolific Marcellus and Utica plays and close to northeastern residential and commercial demand markets that historically have depended most heavily on storage to meet winter needs. Indeed, the effect of the Shale Gale has been unprecedented-in 2011, natural gas demand in Appalachia and the US Northeast exceeded local supply by an estimated 9.7 Bcf/d; by 2015, the two regions swung to a net oversupply of 2.0 Bcf/d; and, for 2018, we expect a net oversupply of 8.9 Bcf/d. Pipeline build-out in Appalachia has arguably allowed the region's local and surrounding markets to rely increasingly on pipeline deliveries to satisfy peak winter loads, thereby reducing the need to rely on storage withdrawals. In addition to the unprecedented dry gas production growth from Appalachia in recent years, the oil price upturn since late 2017 is driving stronger growth in associated gas production (primarily from the Permian Basin). This supply can be sustained at very low-and even negative-natural gas prices, given the returns on the liquids components. The growing backlog of drilled-but-uncompleted wells (DUCs) may be another factor keeping a lid on natural gas prices. When the DUC backlog is high (or growing rapidly), the market can be confident that supply can be ramped up quickly. Data from the EIA show that DUCs in the US Lower 48 increased more than 40% from January 2017 to June 2018. At the end of June, DUCs were 7,943-the highest since EIA began tracking them in January 2014 and up from 5,501 in January 2017. If DUCs are acting as a readily available safety net for supply, they have possibly lessened the immediate need to refill storage. What Gas Market Trends May Come Next? Beyond this winter, next year's expected supply growth could push storage inventories back to historical record highs by end-October 2019, potentially shortening the telescope to a view of simply getting through this winter. Storage withdrawals for the past five winters have averaged 2,200 Bcf, ranging between a low of 1,500 Bcf (during the relatively mild 2015/16 winter) and a high of 3,000 Bcf (during the polar vortexes of the 2013/14 winter). Assuming a 3,400 Bcf end-October storage inventory for 2018, these ranges would put end-March 2019 storage inventories at between 400 Bcf and 1,900 Bcf, with an average withdrawal producing an end-March balance of 1,200 Bcf. We expect growing production to reduce the call on storage by roughly 400 Bcf, and-under normal weather-the market to exit March 2019 with a storage balance of approximately 1,600 Bcf. End-March storage inventories for the past five years have averaged 1,600 Bcf, moving in a range of 800 Bcf to 2,500 Bcf. Although we expect the market to exit winter at the five-year average inventory, this forecast is not without risk given that production growth is not guaranteed. Ultimately, the market is facing the prospect of entering this winter with a far below-average storage inventory, and market participants must decide if they are comfortable managing the risk of a cold winter. For more on this topic, including a historical look at price performance and insightful charts and graphs, click here for the full IHS Markit blog.